The ACLU announced Thursday that Manning was under investigation for three different charges related to a July 5 suicide attempt. Chelsea Manning is reportedly facing three additional charges relating to a July 5 suicide attempt that could lead to indefinite solitary confinement or transfer to a maximum-security facility, The Guardian reports. Manning, who is currently serving a 35-year sentence in a military facility for leaking state secrets to WikiLeaks, confirmed through her lawyers in July that she was receiving medical attention after an attempt to take her own life. 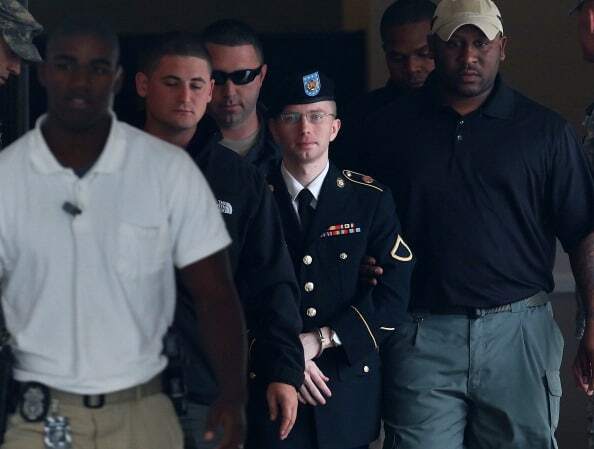 Manning is currently fighting a legal battle to appeal her sentence which she called "unprecedented" and "grossly unfair."